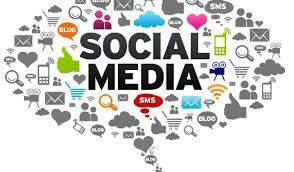 Centre has notified the Supreme Court that it has withdrawn proposal for setting up 'Social Media Communication Hub'. This comes after the apex court had issued notice to the centre earlier and had termed Government’s proposal to monitor online data using this hub akin to 'creating a surveillance state'. It was a proposed platform to allow government to keep an eye on all social media platforms — Twitter, Facebook, Google+, Instagram, LinkedIn etc to gauge and analyse public sentiment towards various government policies and announcements, and track influencers. Its main objective was to get a sense of public mood, with capability to track any individual’s public posts across these online platforms. It had two aspects: mass surveillance apparatus that aims at collecting and analysing huge volumes of data, and profiling people based on that and utilising this data to predict the mood of people online and issue responses, including those targeted at individuals or groups. For this, Broadcast Engineering Consultants India Limited (BECIL), a Public Sector Undertaking (PSU) under Ministry for Information & Broadcasting had twice issued Request For Proposal (RFP) to supply, installation, testing and commissioning (SITC) of software tool for the hub. RFI had specified that this platform should be able to easily manage conversational logs with each individual through various social media channels and facilitate in creating 360 degree view of people who are creating buzz across various topics. What lead the Government to withdraw this proposal? The apex court had issued notice to the Centre on a plea by Trinamool Congress (TMC) legislator Mahua Moitra. The plea had mentioned that SMCH is expected to listen to conversations on all major digital channels and also to be able to monitor email. Such intrusive action by Government without the authority of law, infringes the fundamental right to freedom of speech under Article 19(1)(a) of the Constitution and such action of the government also violates the right to privacy under Article 21. Hearing the plea, the SC bench had observed that the government wants to tap citizens' WhatsApp messages. It will be like creating a surveillance state. Q. The Centre has notified the Supreme Court that it has withdrawn proposal for setting up what?